Eugh! What a miserable Thursday it’s been; it hasn’t stopped raining since I got up for work this morning but thankfully tomorrow is Friday so that makes rainy days a lot easier to deal with. 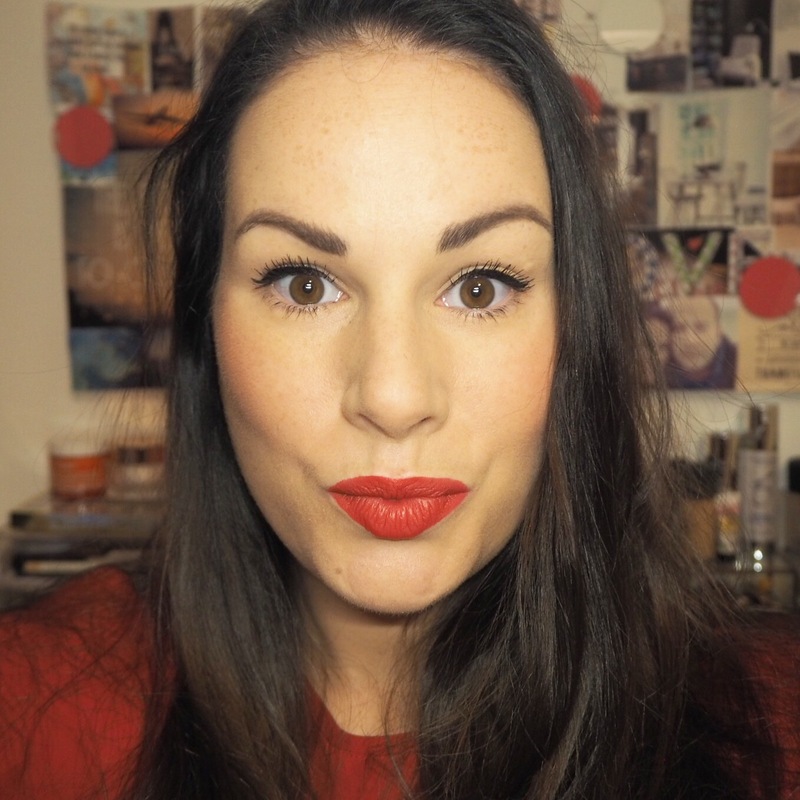 And of course, a lovely lippy always helps too. 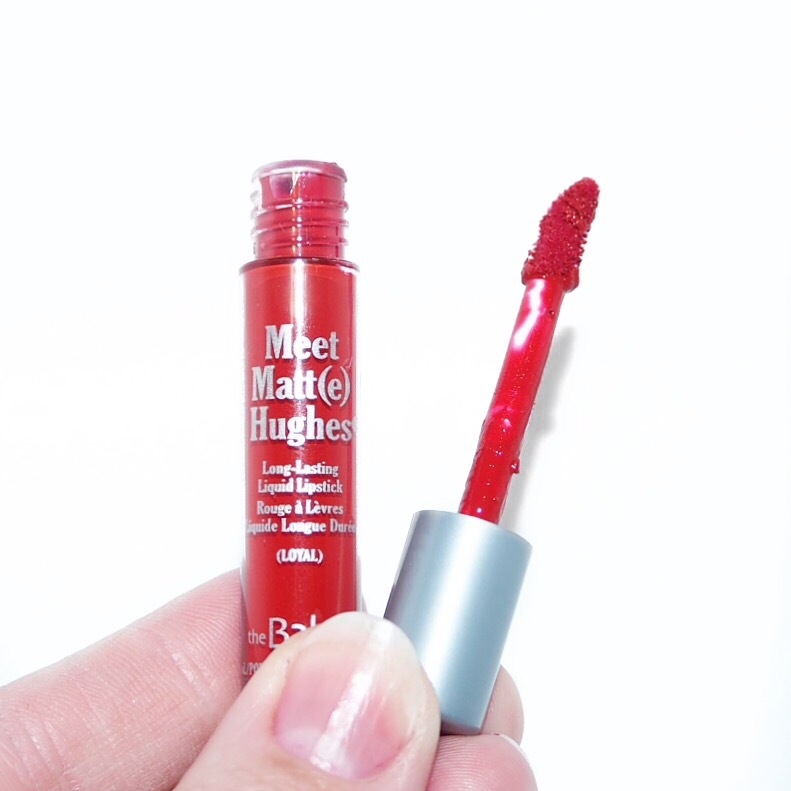 Because it was so dreary out today, I decided to wear a fab deep red shade from theBalm’s Meet Matt(e) Hughes range called Loyal. 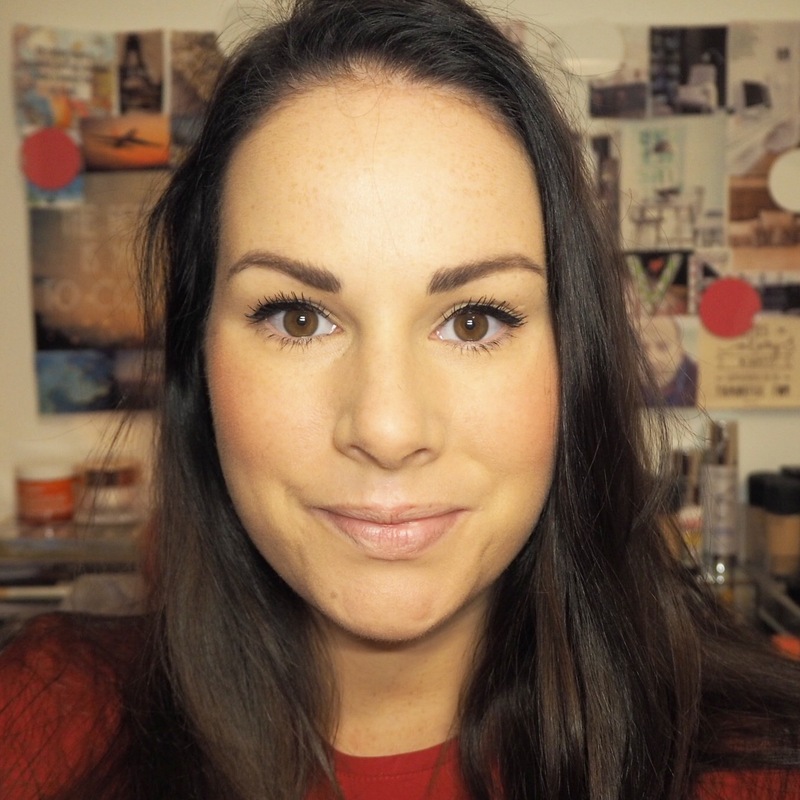 I’m sure many of you know by now that the lipsticks in this range are fast becoming new favourites of mine because they have incredible pigment and amazing lasting power. 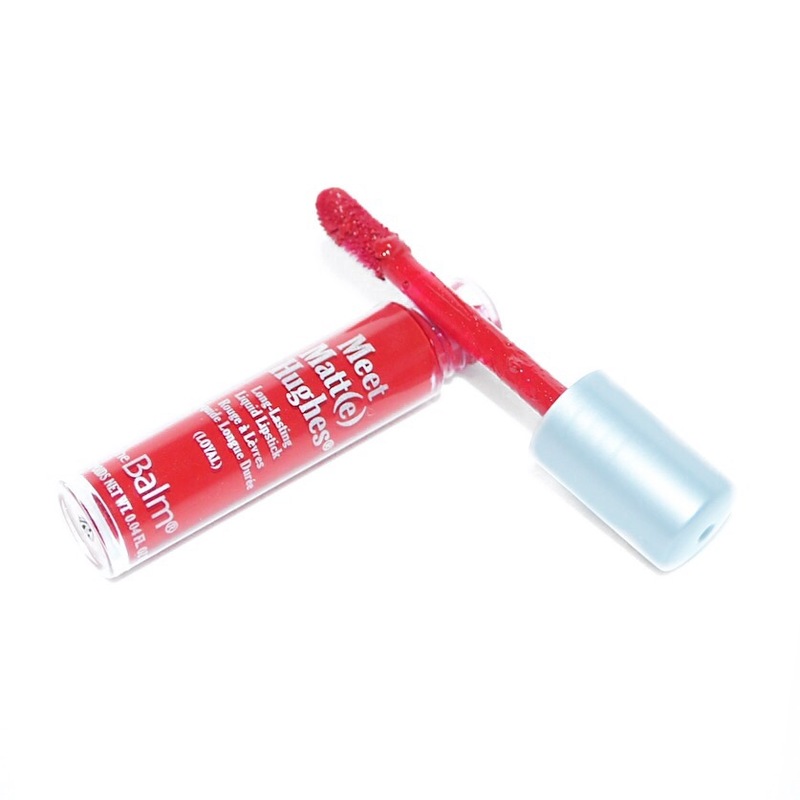 The opaque formula makes the pigment gorgeously intense, especially in this red shade. 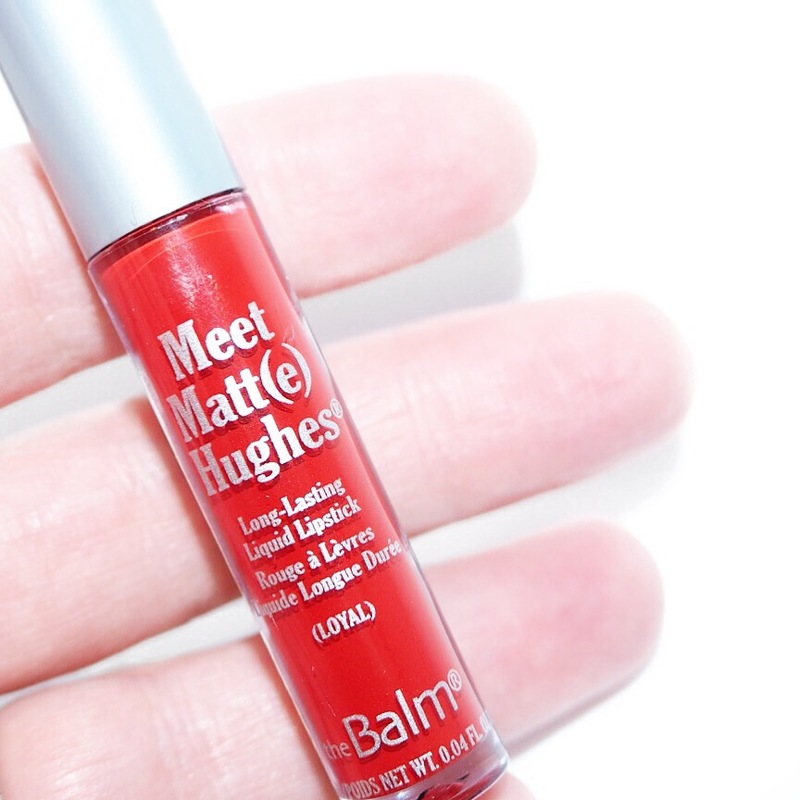 And as I’ve mentioned in my previous posts on theBalm, I love the minty scent and tingling feeling you get on application. It’s the boldest colour I’ve worn into work so far and I was a little dubious about it being a bit too strong, but thankfully nobody seemed to notice and I went on my merry, red lip way. The other shades I’ve worn from this range, Charming and Committed, are both lovely shades and I really liked them, but I think this one might just be even more lovely. 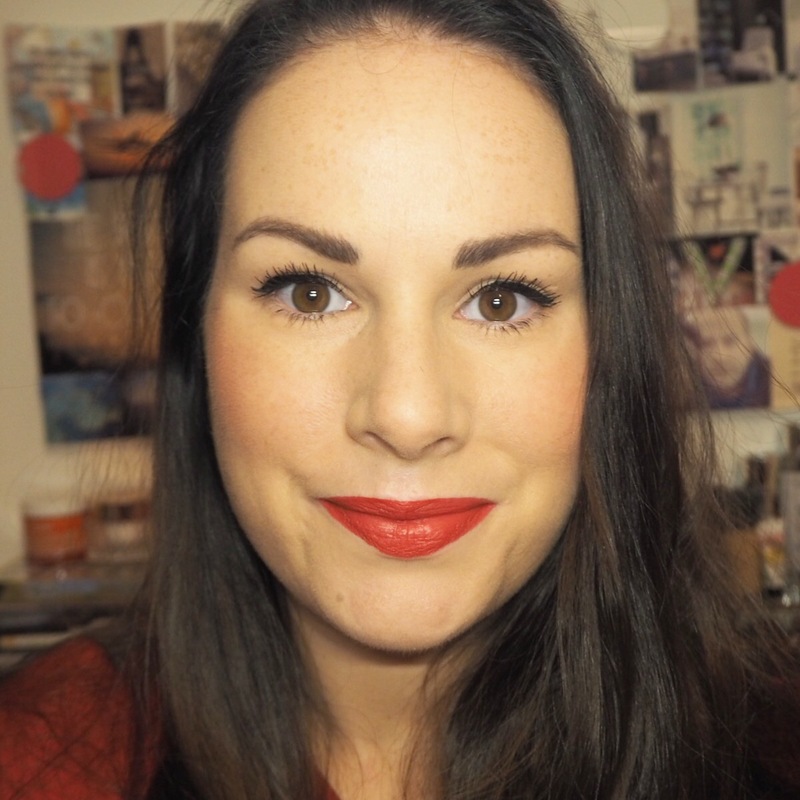 It’s a very rich, warm toned red so it won’t be for everyone, especially if you like a more subtle lip colour, but I have to admit, I did love wearing it today. 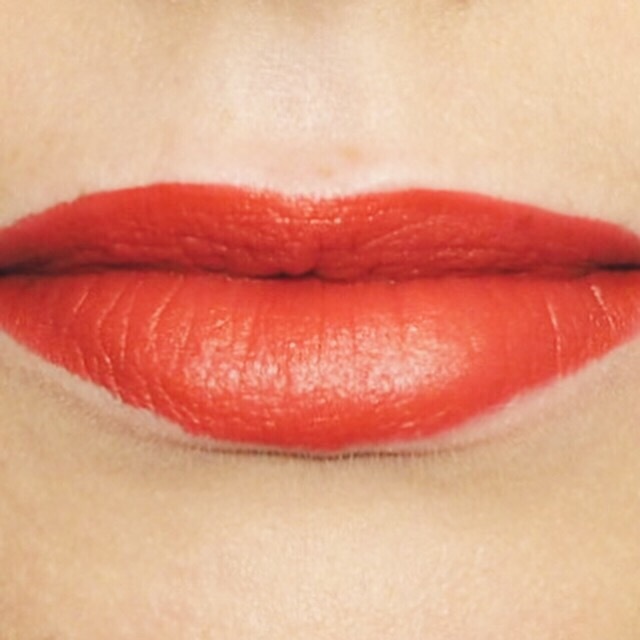 What do you think about a red lip? Do you dare to go bold, or do you prefer to keep it light and soft?